USE Flexibly couple pipes of the same diameters. COMPATIBILITY Steel or plastic pipe. CASTINGS End glands and center body are cast from ductile (nodular) iron, meeting or exceeding ASTM A 536. GASKETS NBR (nitrile butadiene rubber) compounded for water and sewer service also good for hydrocarbons, and other oils. In accordance with ASTM D 2000. The leading edge of the gasket has a brass spring to enhance corrosion protection and electrical conductivity. Temperature range -20°F to +180°F. BACKING RING Carbon steel. The Backing Ring maximizes gasket compression. 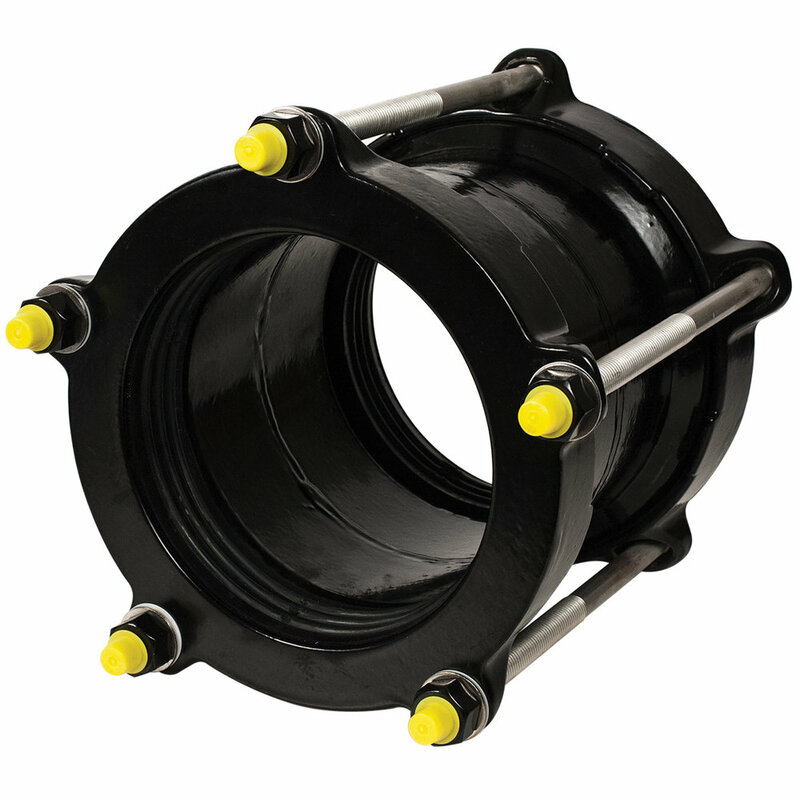 DEFLECTION Can accommodate 4° deflection, 2° per end.